The list of once-obscure metals and minerals that are becoming "strategic" seems to be growing daily. However, population growth and rising living standards in developing countries are driving demand for most raw materials. In this exclusive interview with The Critical Metals Report, Institute for the Analysis of Global Security Senior Fellow Jack Lifton explains how increasing demand and harder-to-mine deposits are raising prices on these essential materials. The Critical Metals Report: In the last five years, investors discovered lithium and the rare earths. What will be the next big thing? Jack Lifton: The answer is graphite. Graphite has traditionally been considered a boring, mundane industrial mineral, evoking thoughts of pencils, golf clubs and tennis racquets. Investors should think again. Traditional demand for graphite in the steel and automotive industries is growing 5% annually, and graphite prices have tripled. New applications such as heat sinks in computers, lithium-ion batteries, fuel cells, and nuclear and solar power are all big users of graphite. These consumers are beginning to place substantial demands on existing production—and over 70% of that production is from China, which is no longer selling this resource cheaply to the rest of the world as the country's easy-to-mine, near-surface deposits are becoming exhausted. 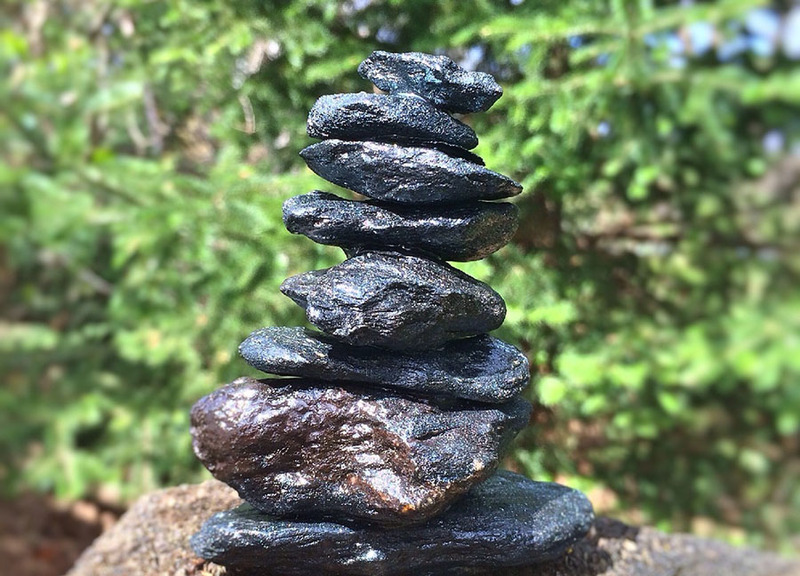 Graphite's criticality and potential scarcity has been recognized by both the United States and the European Union, which have each declared graphite a supply-critical mineral. Recently, the British Geological Survey ranked graphite right behind the rare earths and substantially ahead of lithium in terms of supply criticality. Clearly, there is much more to graphite than pencils. TCMR: What about graphite makes it so important to all these end-users? JL: Graphite and diamonds are the only two natural polymers of carbon. Both are very strong, can withstand extreme heat, and resist attack from chemicals and corrosion. While a diamond is a three-dimensional crystal structure of carbon, graphite possesses a two-dimensional flake crystal structure. Graphite is also a very good conductor of heat and electricity. Due to its amazing chemical and physical properties, new industrial, commercial and high-technology uses for graphite are constantly being discovered. The lithium-ion battery is one of the fastest-growing uses of graphite. Each one actually contains greater than 10 times more graphite than lithium. These batteries are already widely utilized in the consumer electronics industry in devices like mobile telephones, laptop and tablet computers, and media players. Other new technologies like fuel cells, will also drive demand. Fuel-cell-powered forklifts are in use in American warehouses. Some fuel-cell-powered taxis and buses are already found on city streets, and most major car companies will join Hyundai in producing fuel cell vehicles by 2015. To be clear, electric and fuel cell vehicles will not replace the internal combustion engine, however, they are part of the solution to reducing dependence on non-renewable energy resources and make a great deal of sense in many applications. Telecommunications companies are employing fuel cells around the globe for primary or backup power at cell phone towers and substations. 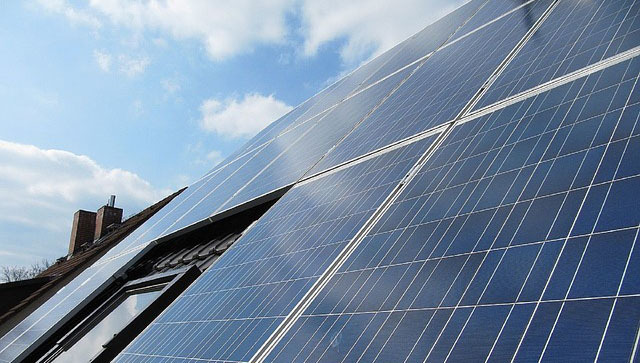 A range of facilities, including stores, universities and business parks, are also using this clean, efficient technology for low-cost power that works independent of the grid. Fuel cells convert chemical energy from a fuel source, often hydrogen but also natural gas or even an alcohol like methanol, that chemically reacts with an oxidizing agent like oxygen to create electricity. Because they operate at relatively low voltage, fuel cells are typically placed in series or parallel circuits to increase voltage and current. Fuel cells generate fairly low levels of emissions, as well as water and heat. In large installations, this heat can be captured and used for climate control and to produce additional power through cogeneration. General Motors has already invested more than $2 billion in automotive fuel cell research and development, and is believed to be seeking additional investment from industry peers in exchange for rights to use the technology. German automotive companies BMW and Volkswagen both own stakes in SGL Carbon SE, the world's largest maker of carbon and graphite products. Just how much graphite will be required for fuel cells? The proton exchange membrane fuel cells being developed for use in cars would require 100 pounds of graphite per vehicle. The U.S. Geological Survey noted in 2010 that "large-scale fuel cell applications are being developed that could consume as much graphite as all other uses combined." Graphite is also projected to be a key component in next-generation nuclear reactors, which are expected to reach temperatures of 1,000 degrees Celsius—triple the temperature inside today's commercial reactors. Graphite is one of the few substances that can resist such heat, with initial tests by researchers at the Idaho National Laboratory indicating that it can actually absorb heat as high as 3,000 degrees Celsius. Pebble bed nuclear reactors are small, modular reactors that are safer than conventional reactors because they "die" on their own when shut down. They are fueled by tennis-ball-sized graphite spheres with uranium embedded in them. Substantial amounts of graphite are required to charge the reactor at startup, and a percentage of the balls must be replaced each year as the fuel is spent, which creates ongoing demand for graphite. China has an operating prototype and is now building the first two commercial units, with plans to have 30 by 2020. These reactors are one of the top 16 priorities in China's 2020 strategic plan. The vanadium redox battery, which offers great potential for storing excess energy generated by renewable energy sources like wind turbines and solar cells, is another notable emerging technology that would require significant amounts of graphite to produce. These batteries, which offer significant storage capacity, long life, low maintenance requirements, and a nominal environmental footprint, require some 300 tons (t) of flake graphite per 1,000 megawatt of storage capacity. TCMR: Isn't there plenty of graphite in the world to go around? JL: Natural graphite deposits can generally be characterized as one of three types: crystalline flake, amorphous or lump, also known as vein graphite. Total annual global graphite production increased substantially in the 1990s as China dumped graphite on world markets. Prices crashed and exploration and development in the rest of the world ceased. Production has now held steady for several years at approximately 1.1 million tons (Mt) as China appears to have reached the limit of its productive capacity and the commodity super cycle has soaked up excess supply. Since 2005 prices have basically tripled, and supply is tight. 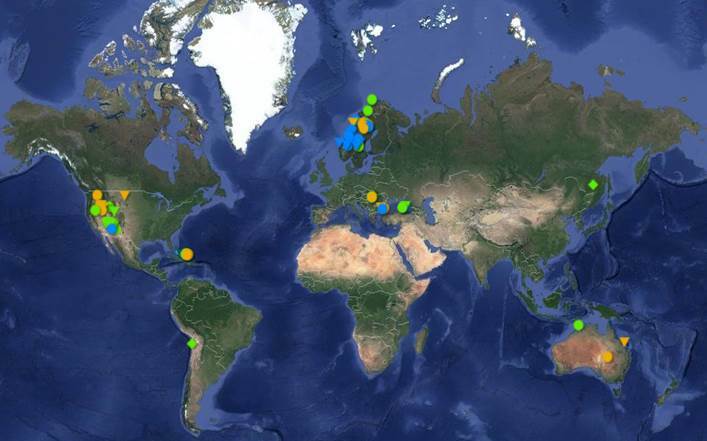 Graphite mining and processing is currently limited to a small handful of countries, with China, India, Brazil and Canada the leading suppliers. Only 40% of world production yields flake graphite, the most desirable type for its suitability in high-value, high-growth applications. Only flake and synthetic graphite, which is made from petroleum coke through a very expensive process, can be used in lithium-ion batteries, the current demand driver for this crucial substance. 321energy.com owner Bob Moriarty recently commented, "If you believe in lithium-ion batteries, you would do far better by investing in a good graphite company than a good lithium company. . .With demand for graphite growing at 50% per year and prices reaching $2,500-3,000 a ton, the future for graphite companies with actual projects is excellent." TCMR: What about the introduction of graphene, single-atom-thick sheets of crystalline flake graphite? How will the use of this material in phones and touch screens impact demand? JL: Professors Kostya Novoselov and Andre Geim of the University of Manchester were awarded the 2010 Nobel Prize in Physics for their work with graphene. British Chancellor of the Exchequer George Osborne recently committed ~$80 million (M) to graphene research, a quest embarked on by almost every major research center and university as well as hundreds of companies, from IBM and Intel to Silicon Valley startups. Graphene is being studied for use in ultra-high-speed microprocessors, as it conducts electricity at a rate 30 times faster than silicon. IBM is examining whether graphene's magnetic traits will allow it to be utilized in medical devices to spot diseases in their earliest stages. The company is also working with the U.S. Department of Defense's Defense Advanced Research Projects Agency to investigate whether graphene can improve mobile phone efficiency, wireless signal clarity and radar quality. Nokia is researching graphene's potential use in cell phones and touch screens, with the latter usage expected to become commercialized relatively soon, potentially in a foldable phone. One U.S. Department of Energy researcher believes that graphene's energy storage potential will lead to the development of batteries that will triple the range of today's electric vehicles without increasing battery size or weight. In collaboration with South Korea's Sungkyunkwan University, Samsung researchers have created a flexible touchscreen several feet wide from "printed" graphene that could eventually be commercialized in strong, lightweight, flexible solar cells, touch sensors and flat-panel screens, perhaps maybe even directly integrated into clothing. While research-and-development activity is moving from university labs to corporate workplaces, scientists estimate that the first commercial applications of graphene technology are 5 to 10 years away. TCMR: If the price goes too high will manufacturers simply engineer graphite out of their products? JL: At the recent Graphite 2011 conference in London, Colin Cooper of Graphexel Ltd. said "new technologies [are] unlikely to overtake the graphite market demand for traditional end uses—such as refractories, metal casting, and lubricants—as the fundamental need for graphite in these lower value sectors [is] not going away." However, these traditional industrial users will find themselves competing for supply with those producing new technologies as there are very few, if any, economically feasible alternatives available and very little recycling of graphite. The main technology that these traditional uses will be competing with in the near term is rechargeable lithium-ion batteries. Graphite serves as the anode in lithium-ion batteries, and there is no substitute for it in this application. Due to their advantages relative to other battery types—including their comparatively light weight, lack of memory effect, slow self-discharge rate and environmental safety—the lithium-ion battery industry is growing 30 to 40% annually as products such as power tools, consumer electronics, and hybrid and all-electric vehicles switch from other, inferior battery technologies. Already, plug-in electric vehicles like the Chevy Volt, Nissan Leaf and Tesla Roadster rely on lithium-ion batteries, and the gasoline-electric hybrid models that have used nickel-metal hydride batteries for the past decade are making the transition to lithium-ion technology. The electric vehicle market is expected to grow as much as 20% annually by 2020, with expectations that between 3–6M such vehicles will be manufactured in 2020, each of which will require approximately 40 pounds of graphite for the battery system alone. Both U.S. President Barack Obama and Chinese leaders have stated that they want to see 1 million electric vehicles on the roads by 2015. An estimated 1 Mt additional graphite will be needed annually by 2020 for electric vehicles and other emerging applications. TCMR: If current annual flake production is around 400,000 tons, where will all this new production come from? JL: This booming demand will require more than a doubling of current global graphite production to meet the needs of traditional markets like North America and Europe, as well as such emerging markets as China, India, Russia and Brazil. Total graphite production across the globe has been consistent in recent years at approximately 1.1 Mt annually. China's production is suitable only for industrial applications such as steelmaking and lubrication rather than high-tech uses like batteries and graphene. China already imports a significant amount of the graphite mined in North Korea. Fortunately, graphite reserves are present around the world, though many sites would require several years of development and significant investment to begin production. Countries known to have reserves of highly valuable flake or crystalline graphite include Austria, Norway, Germany, Italy, Madagascar, Sri Lanka, Russia and Canada. Governmental bodies have shown increasing concern about graphite's importance. The U.S. Department of Homeland Security's Critical Foreign Dependencies Initiative lists Chinese graphite mines as essential sites that would damage American interests if attacked. Graphite was also determined to be high in terms of both economic importance and supply risk in a 2010 European Commission study of 41 raw materials. 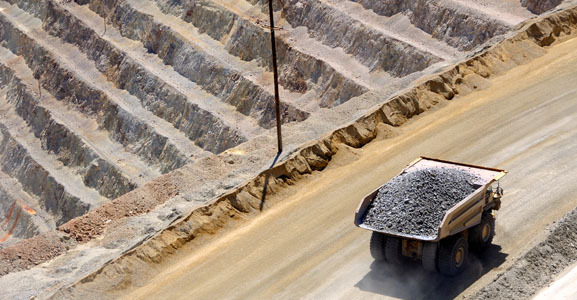 TCMR: What mining companies could fill this growing demand in the coming years? JL: There is only a handful. Northern Graphite Corporation (NGC:TSX; NGPHF:OTCQX) is, in my opinion, the leading public graphite company. Northern Graphite has the "three Ps" of investing in junior resource companies: people, property and price. Seven members of Northern Graphite's board and management team have significant senior management experience with mining and exploration companies and are widely known and respected in the mining and investment communities. CEO Gregory Bowes was senior vice president of Orezone Gold Corp. (ORE.TSX) and Ron Little, a director, is Orezone's CEO and founder. Orezone drilled off a 5 million ounce gold deposit in Burkina Faso, Africa, completed a bankable feasibility study and permitting, and started construction before its Essakane project was taken over by IAMgold Corp (IMG.TSX) in a $350M transaction. Iain Scarr, another Northern Graphite director, was commercial director of Rio Tinto's (RIO:NYSE; RIO:ASX) industrial minerals division for many years and is now vice president of corporate development at Toronto-based Lithium One Inc. (LI:TSX.V). Jay Chmelauskas, a director, is CEO and a director of Vancouver-based Western Lithium USA Corp. (WLC:TSX; WLCDF:OTCQX). Don Baxter, president, was mine superintendent at the Kearney Graphite mine in Ontario when it operated in the 1990s and was CEO of Ontario Graphite, which is presently attempting to reactivate the mine, before being lured away by Northern Graphite. George Hawley, technical advisor, started in the graphite business more than 40 years ago and is a leading minerals industry expert. Northern Graphite's Bissett Creek graphite project has a number of significant advantages over other graphite deposits. It is located about two hours east of Ottawa, the nation's capital, and 10 miles from the TransCanada highway and associated natural gas pipeline, power lines and small communities where workers can live. It is five hours by truck from the port of Montreal and less than one day by truck from the major steel and automotive centers in the northeast United States. Bissett Creek itself is a very large, low-grade deposit that is located right at the surface, which means it will be mined by simple open pit methods and will have a very low waste-to-ore ratio. It is also very flat lying and therefore production can be expanded by moving laterally rather than going deeper, which is much more expensive. North Graphite's original NI 43-101 report contemplated an operation producing 20,000 tons of graphite per year for over 40 years. Since that time, the resource has more than doubled and it is still open to the north and down dip. This indicates the deposit could support production of 70-80,000 tons per year and still have a mine life of more than 20 years. We do not know of any other graphite deposit in the world that has this degree of scalability and believe that at this production level it would be the largest graphite mine in the world. This feature should make it very attractive to potential strategic partners that want to secure a stable source of long-term supply to meet growing demand. Another feature that makes Bissett Creek quite unique is that almost 100% of production will be large-flake (+80 mesh), high-purity graphite. Recent metallurgical test results have shown that 50% of production will be even larger, +48 mesh jumbo flake, which will result in premium pricing. We believe Bissett Creek will produce concentrates that have the highest average value per ton in the industry. While Bissett Creek will not be the lowest cost operation due to its relatively low grade, its near-surface nature and low strip ratio will help to balance this disadvantage out, meaning that costs will be in the middle of the pack. Bissett Creek should generate the highest margin per-ton of concentrate in the industry. 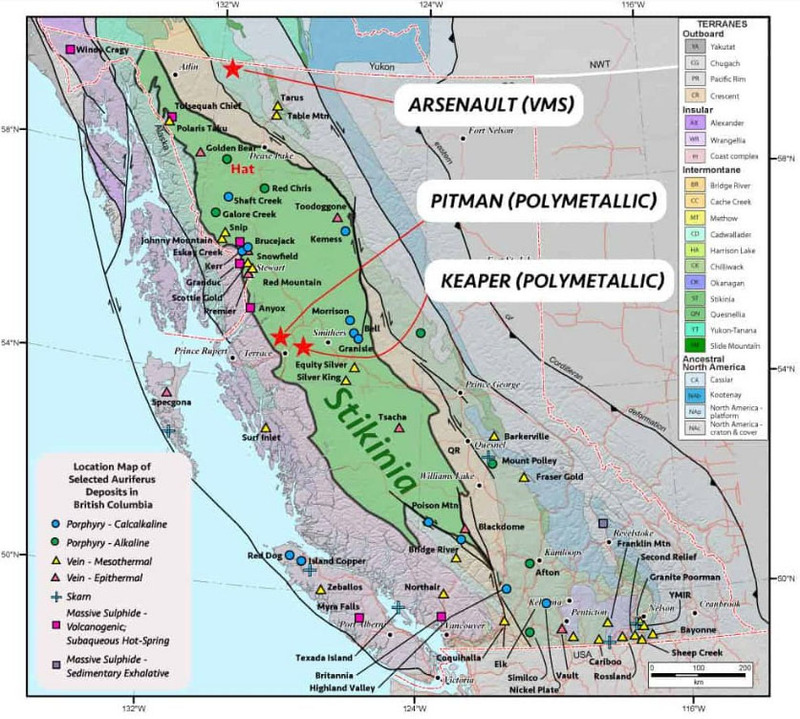 Northern Graphite expects to complete a bankable feasibility study in the first quarter of 2012; full permitting should be completed shortly thereafter. 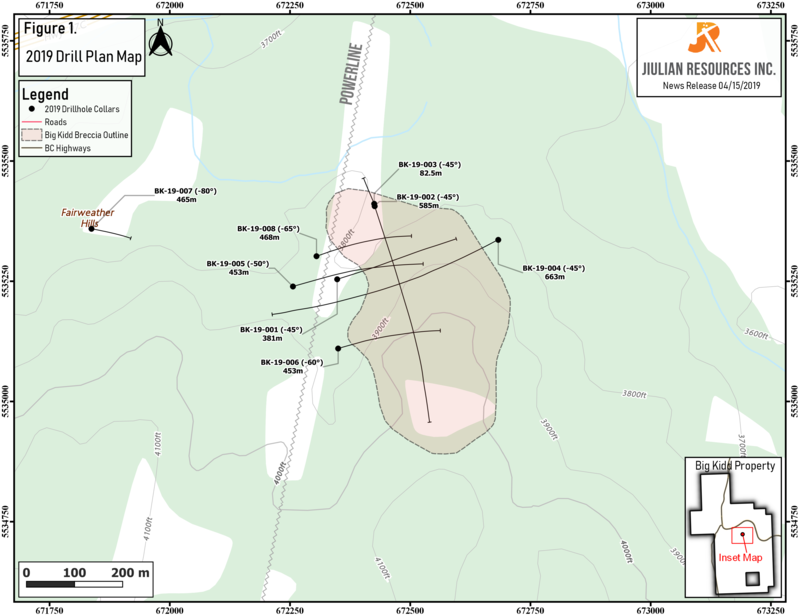 It will take approximately $80M and one year to build the mine, so Bissett Creek could potentially be in production in mid-2013. 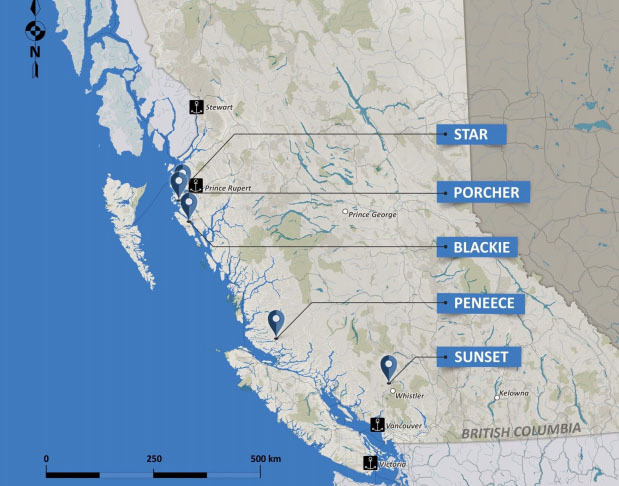 With the bankable study and permitting near at hand, Northern Graphite has a substantial head start on many other companies that have yet to commence either. Northern conducted its IPO in April of 2011 at CDN $0.50 per share and closed the year at $0.94, which is fairly good performance considering that the TSX Venture Exchange was down about 40% over the same time period. However, with only 37.4M shares outstanding and 45.8M fully diluted, the company has a market capitalization of less than $40M. We consider this very cheap considering the quality of both management and the asset itself, as well as the advanced stage of the project. The company has a minable, diluted resource of over 1.3 Mt of graphite in the indicated and inferred categories, and almost all is large flake, high purity. Accordingly, the market is valuing the company at less than $30 per ton for a product that sells for close to $3,000 per ton and has a margin well over 50%. As the bankable feasibility study and permitting are completed in the near term and the investment profile of graphite goes mainstream, we expect the share price to move substantially higher. Other possible future graphite suppliers include Focus Metals Inc. (FMS:TSX.V). It owns the Lac Knife graphite deposit near Fermont in Northern Quebec. Lac Knife has measured, indicated and inferred resources of approximately 8 Mt grading 15.6% graphite and is still open. Strategic Energy Resources (SER:ASX) is a junior Australian resource company that has interests in a number of mineral and oil & gas projects, including 100% of the Uley graphite deposit. Uley operated in 1993 and has a 14,000 ton per year (t/year) plant on site that is intact but will need to be refurbished. A recent Joint Ore Reserves Committee compliant resource estimate totals 6.6 Mt grading 8.7% graphitic carbon in the indicated and inferred categories. Burke Resources Ltd. is a private Canadian company that intends to complete a qualifying transaction that will involve acquiring and reopening the Woxna graphite deposit in Sweden. The deposit has a resource of 6.9 Mt grading 8.8% (non NI 43-101) and a fully permitted 13,000t/year plant. It is anticipated that production could restart in two years. TCMR: Any other advice for investing in a commodity that has doubled in price in three years? JL: I expect prices to increase further. Mines old and new will accelerate their production efforts. Both existing mining and processing companies and startups will require investment; those who get in earliest will profit the most from the Great Graphite Rush. Jack Lifton is an independent consultant and commentator, focusing on market fundamentals and future end-use trends of the rare metals. He specializes in sourcing nonferrous strategic metals and due diligence studies of businesses in that space. He has more than 47 years of experience in the global OEM automotive, heavy equipment, electrical and electronic, mining, smelting and refining industries. Want to read more exclusive Critical Metals Report articles like this? Sign up for our free e-newsletter, and you'll learn when new articles have been published. To see a list of recent interviews with industry analysts and commentators and learn more about critical metals companies, visit our Critical Metals Report page. 1) The following companies mentioned in the interview are sponsors of The Critical Metals Report: Northern Graphite Corporation and Focus Metals Inc.
2) Jack Lifton: I personally and/or my family own shares of the following companies mentioned in this interview: None. I personally and/or my family am paid by the following companies mentioned in this interview: None. Technical analyst Clive Maund charts an Australian magnetite producer and explains why he is bullish on the stock. Bob Moriarty of 321 Gold discusses recent developments with this company that has one of only four primary tellurium mines in the world. This asset, located in a historical mining district in Coahuila, is highly prospective for silver and zinc. This small-cap explorer has been running airborne surveys as well as soil sampling to prepare for the upcoming drill season. Want to be the first to know about interesting Critical Metals investment ideas? Sign up to receive the FREE Streetwise Reports' newsletter. 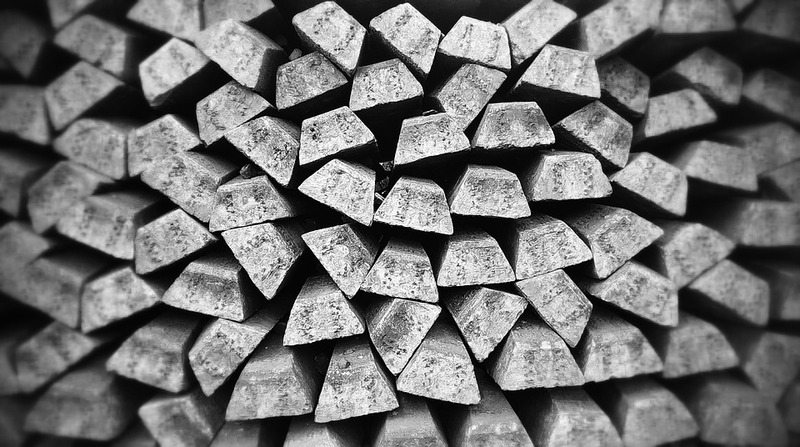 Want to read more about Critical Metals investment ideas?